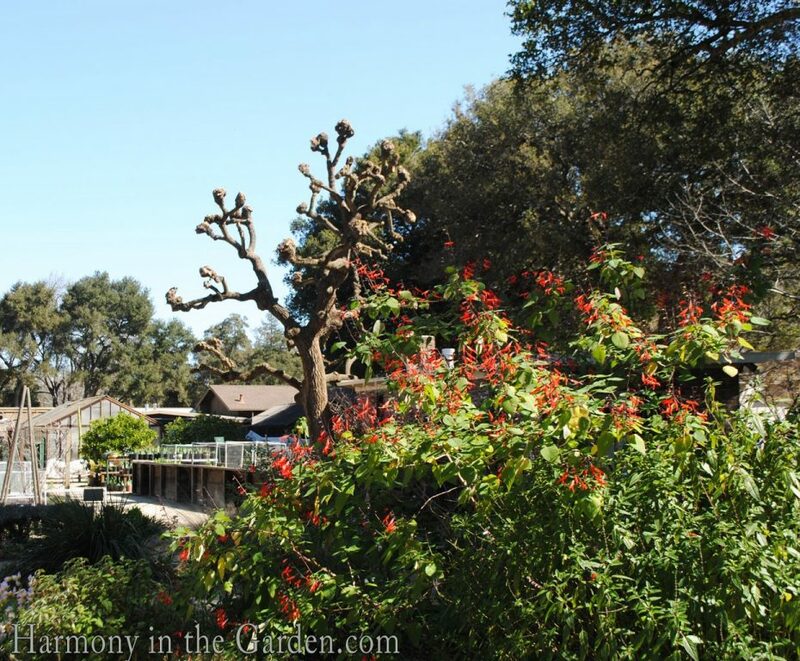 Today my mother and I took a little field trip to Palo Alto’s Elizabeth Gamble Garden. Even though it’s still early spring here, with our unseasonably warm weather, we couldn’t wait to see what early surprises we might find. As was expected, there was plenty to see in this early-spring garden. 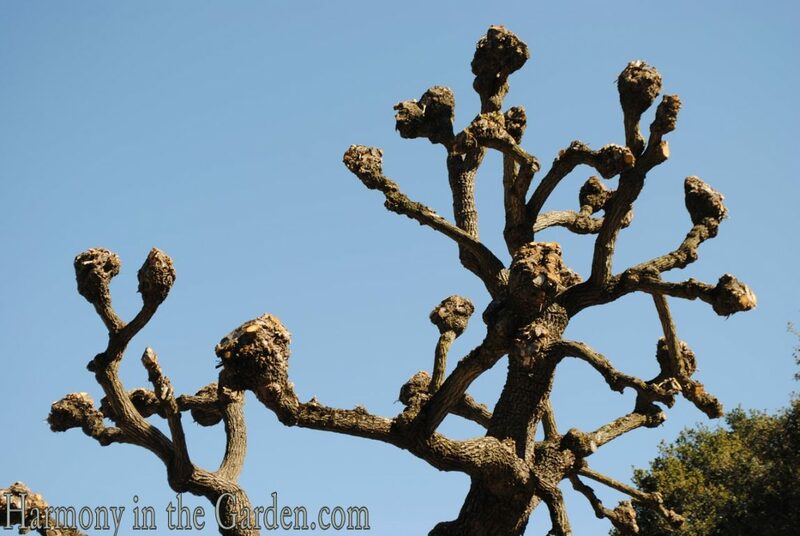 But to be honest, each time I’d photograph one of these beautiful treasures, my eye would be drawn to the heavily pruned Coral Tree that seemed to loom above the entire garden. The type of pruning it’s undergone is called pollarding (which people seem to either love or hate) – but that’s beside the point. What tugged at my soul was the strength it had in the strong lines of its gently twisting limbs, the deep grooves from its aged bark and the commanding presence it exuded, despite being completely barren. I could relate to this tree as I, too, have recently been heavily pruned. Two weeks ago I traveled down one of the final roads of the cancer ‘detour’ I’ve been on and had a bi-lateral mastectomy. And since I’ve been openly sharing my journey with all of you, I thought I’d let you know where I’ve been these past few weeks. As imagined, the first two weeks were pretty rough, but with each passing day I’m able to spend more and more time in my garden – at least enough time to take a morning walk, or sit and watch the birds as they begin frantically building their nests and finding mates. Once I knew the dates of my surgery, one of the smartest things I did was to know myself and predict just how frustrated I’d be forced to lie in bed for several weeks while recovering. During spring, no less! 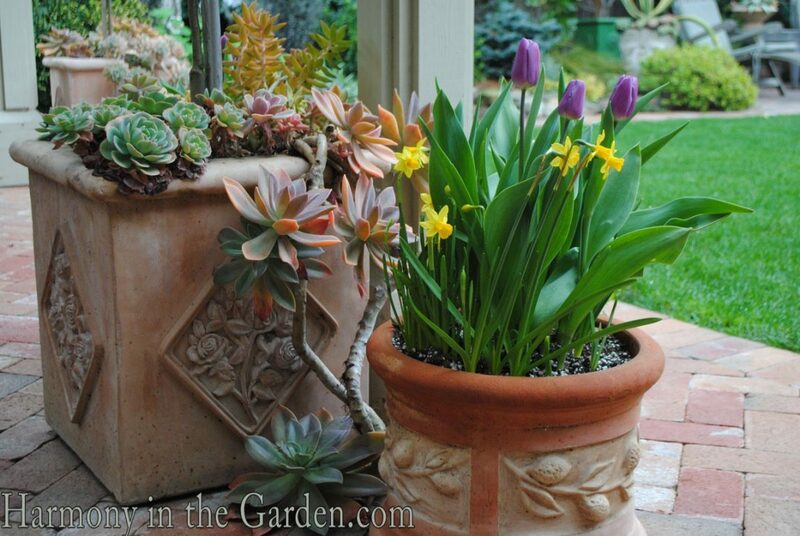 So I decided to create two big containers filled with a mix of brightly colored tulips, dainty tazetta daffodils, and heirloom pheasant-eye narcissus ‘Firetail’ and ‘Poeticus Ornatus’. And just like clockwork the bulbs began blooming a few days before my surgery and have been showing off ever since. Oh, how I love these containers of mine. They’ve helped keep my sanity, reminding me to be patient, for as soon as they begin to stop blooming I should be feeling good enough to grab my pruners again. Disclaimer: It was a new gardening friend of mine who came up with the term ‘heavily pruned’, letting me know that just like a shrub or tree I’d end up stronger and healthier than ever. I just love that phrase – sort of morbid, but so funny at the same time. And she’s right. Just this week the doctors have told me that they didn’t find a single cell that indicates there’s any cancer anywhere! So yep – I’ll be stronger and healthier than ever. In fact, I’m feeling better already! 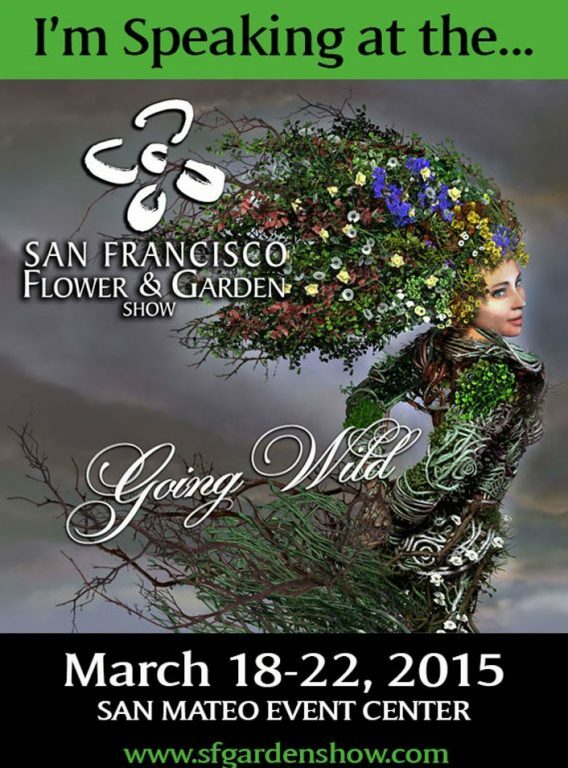 As some of you may know, I’ve been managing the Facebook page for the upcoming San Francisco Flower and Garden Show (something I’ve been having so much fun doing while recuperating in bed.) In fact, if you haven’t checked it out you should head on over as we’re offering ticket giveaways every week until the show! With the drought that’s upon us, yet again, my topic couldn’t be more timely: ‘Incorporating succulents into everyday gardens’. 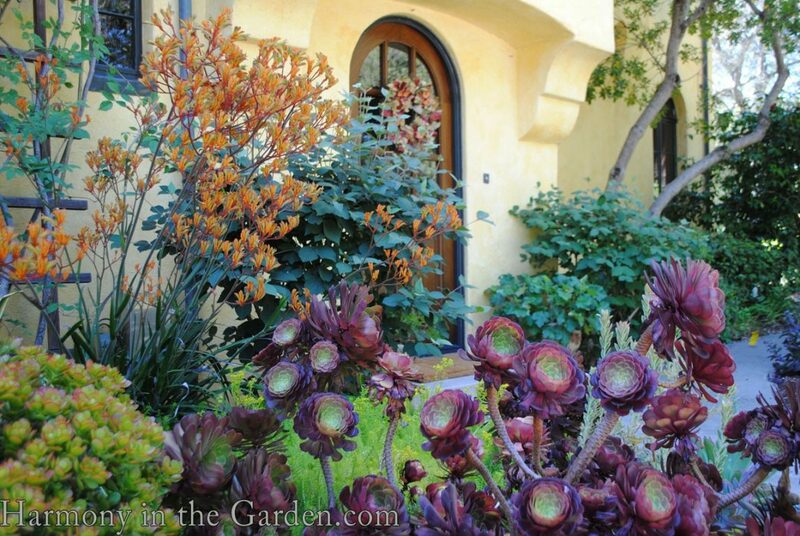 The emphasis of my presentation is to show how to blend low-water succulents into more traditional-style gardens, as well as how to use them as functional problem-solvers. YAY!!! the worst is behind you and now time to rebloom. such a blessing and such good news! 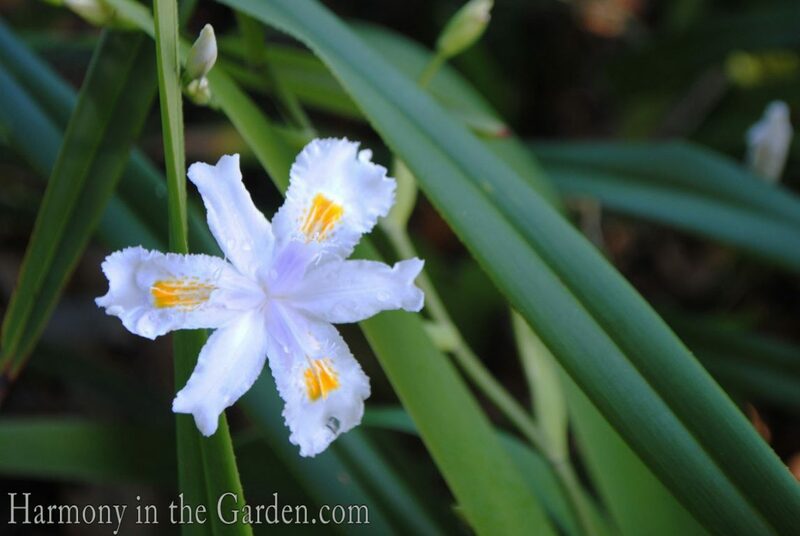 I am looking forward to your visit to San Diego and your talk at the San Diego Hort Society later this year! Heavily pruned — it IS funny but also makes me wince a little. I love that you find humor and strength in the imagery, Rebecca, for both are your trademarks. 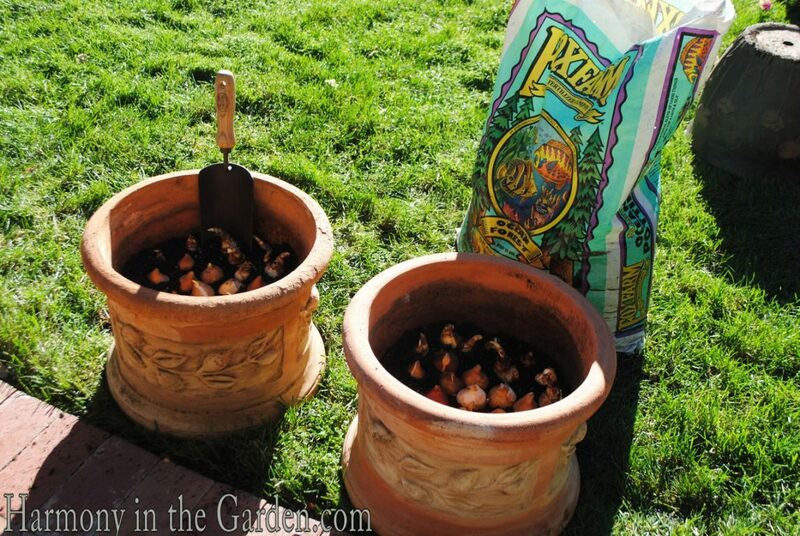 What a great idea to have potted up those bulbs beforehand as a treat to enjoy during recovery. And I’m so very glad to hear the good results post-surgery! Continued good wishes for getting back to full strength and health! I am just thrilled about your being cancer free, hope you feel better soon, and I wish you a wonderful spring season. Love your books and blog. Thanks for the good wishes, Pam! Now Last but certainly not least is that I am so thrilled that your Cancer is gone, it just shows that God has not finished with His plans for you yet, which is wonderful. It is my dearest wish that I can sit awhile with you in the near future when you have time and have a chat with a cup of tea. I have kept the newsletters that I have not been able to read. It is truly amazing how caring for and saying good-bye to a very much loved one can be so difficult. don’t forget to rest and take time for Rebecca, Love and Hugs, Jean Gillette. You are food for the soul, Rebecca! Heavily Pruned! So apt and clever. 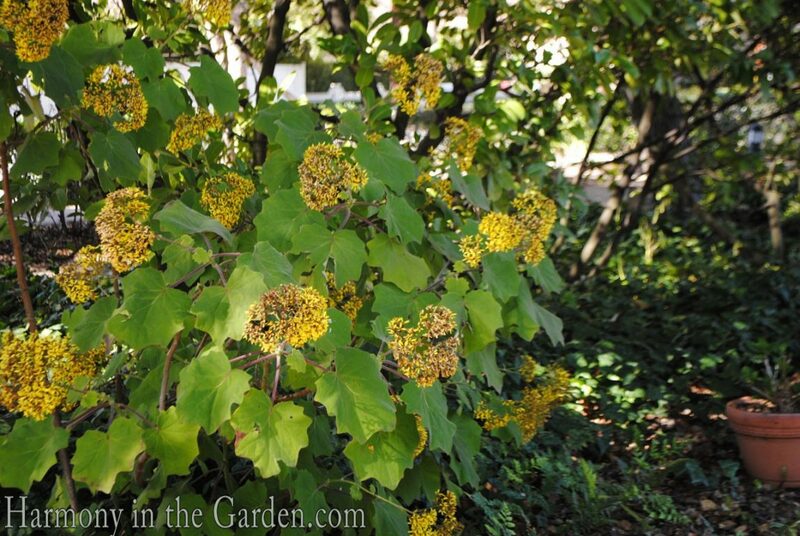 And a heavily pruned plant should not require as much water for our drought ravaged area – what do you think? The bulb pots are delightful and such preparation for so timely results. Wishing you a speedy and uneventful recovery! Rebecca, congrats on your successful surgery! Love the new term your friend has coined for this along with your Coral Tree, morbid perhaps, but so clever and humorous at the same time. 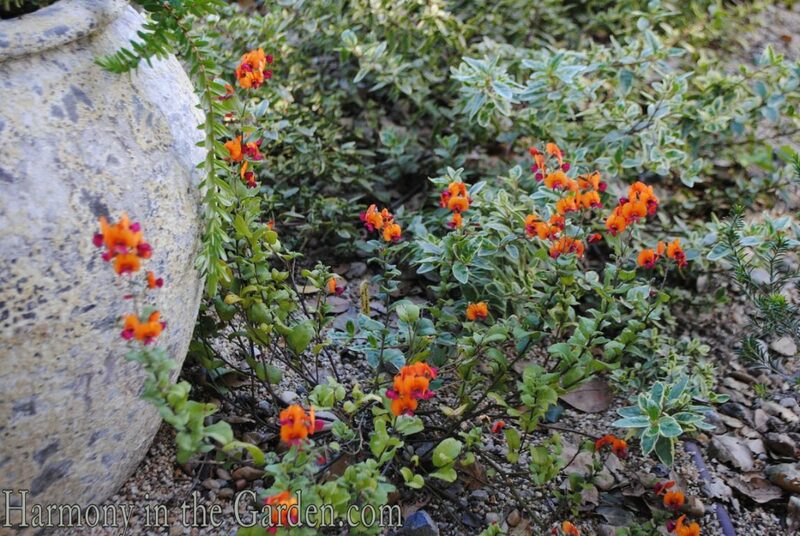 Glad you had the forethought to plant the containers of spring cheer, what a great cheerleader to get thru hard times! Thank you, David. I’m glad you liked the morbid (but funny) term, too. Gardeners are a great lot, aren’t they? What a journey this has been for you – taxing physically, mentally and emotionally. Congratulations on your very positive results and best wishes with your continuing recovery! Thank you, Kris. Yes – taxing on all levels. And for my poor family, as well (who have been amazing, I might add!) Hope all is well with you! Rebecca, Thank you for this wonderful update on your blog. I’ve been thinking of you every day since your surgery and am sending an air-hug to you from Bainbridge Island. PS I recognize the beautiful succulent garden in your photo above, amazing! You are incredible, Rebecca! I, too, think the phrase “heavily pruned” is perfect, and will also never think of it the same way again. You’ve described some very interesting plants and I love your specialty mix of tulips and daffodil containers – happy visual therapy as you recover 🙂 Virtual hugs to you! Such wonderful news for you! What a journey you have been on. I hope you recover quickly from this latest assault on your body. Clearly you are soldiering on! 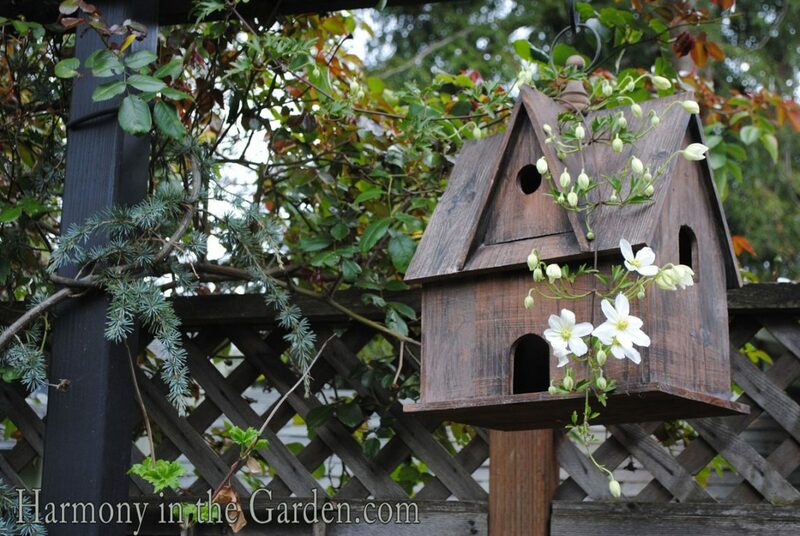 Happy Spring…for you and your garden. Thank you, Jo. I’m looking forward to ending this leg of the journey (hopefully in April or May – still a few surgeries left) and get back in the dirt again! 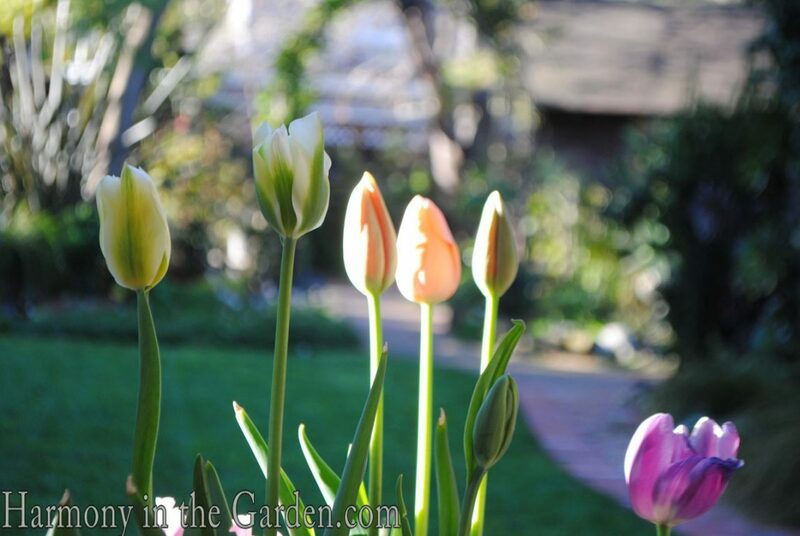 I hope your garden is starting to wake up like mine is – it seems spring is definitely here! Wonderful metaphor, Rebecca! May you stay cancer-free. Re the SF F&G show, I’m afraid you’re going to need a suit of armor to fend off all the hugs coming your way. Wonderful news Rebecca! 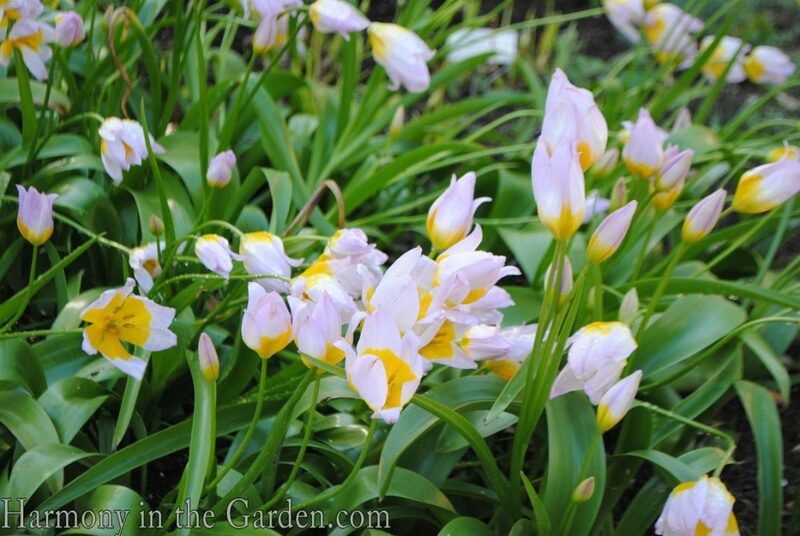 I loved seeing the follow up to your bulb planting and how they are providing so much cheer just when you need it. Have fun at the show and I can’t wait to hear more from your talk. Thank you, Shirley – does this mean you might be coming to the show? If so, I hope to see you there! Thank you so much, Rachel. This was the first year in several that I had to miss the show and it was SO HARD! Next year (fingers crossed) I’ll be there and would love to meet you, too. I’ve added those beautiful tulips to my list as well, they’re the cutest things I’ve ever seen! Rebecca, I’m so very happy to hear that they didn’t find a single nasty cancer cell! I love the term “heavily pruned”, now it’s time to start growing and blossoming again!!! I so wish you the best. Thank you, Lynn. Yep – not a single nasty cell to be found. Hooray! I’m so happy and grateful to hear that you received the “All clear!” Continued blessings and much love to you. 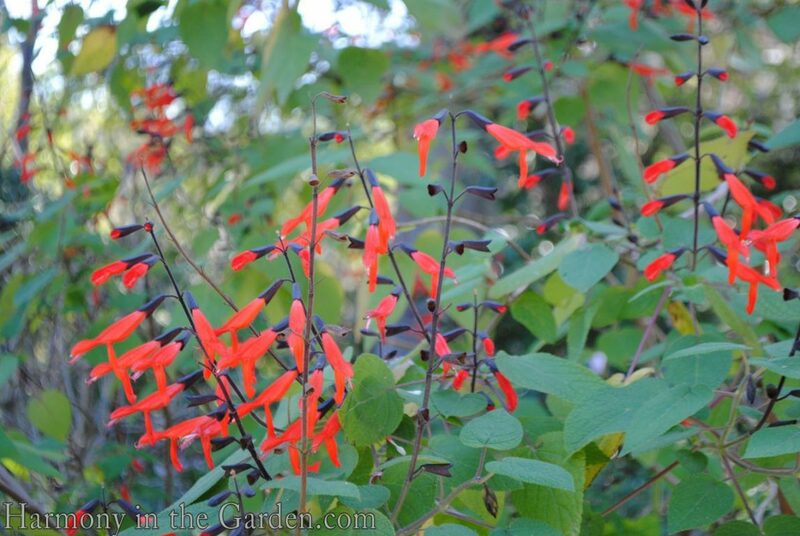 I’m searching for one of those ten foot salvias for my hummingbird friends. Congrats on the great news! My mom went through the same surgery, and I was surprised how much physical therapy was required. I think I mentioned before that was back in the 1990s, and she lived to be 91. You were so smart, and organized, to plant those bulbs. Enjoy giving your seminar, and going to the show. Some day I’ll make it down there for that. Wonderful news of your cancer-free report. You must have a master gardener working on you! 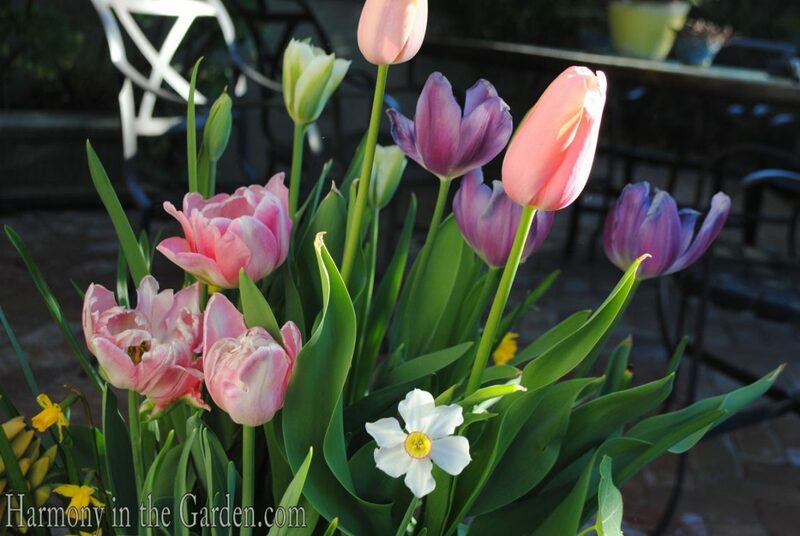 Love your container of tulips! Congratulations! Once again your shining spirit comes through loud and clear. “Heavily pruned”…I will never think of that phrase the same way again. You sure know how to bring a big smile to my face, Rebecca. I was over the moon when I read your post today! There was no doubt in my mind that you would be cancer free after this long journey, but I am pleased your doc’s had the good sense to agree 😉 The birds must be flocking to your gardens to sing sweet songs of joy. YAY!!! It’s probably a good thing Laurel and I aren’t coming to the San Francisco F & G show, it would be torture not to be able to physically give you a big hug. 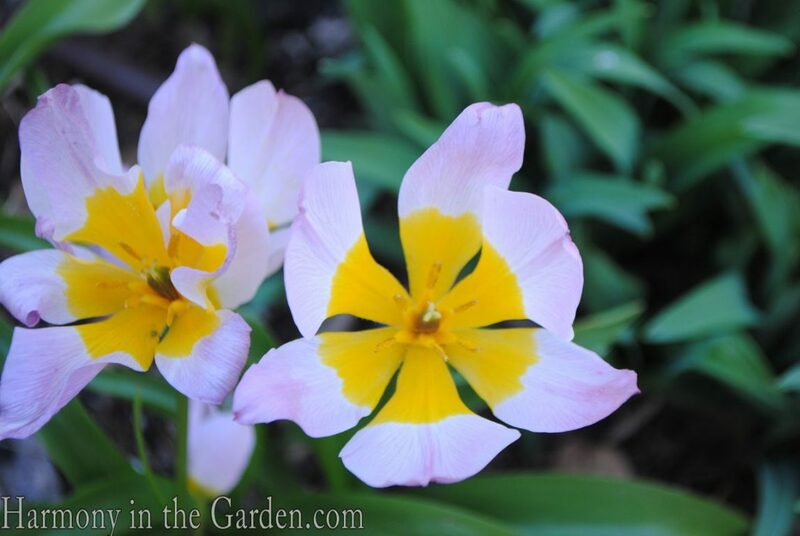 But, the topic of your seminar sounds absolutely perfect and would also apply to containers 😉 Okay, virtual hugs coming your way… I’m off to find out where I can order the ‘Lilac Wonder’ species tulips for a fall planting! Thank you, Sheila. Yes, it would be HARD to not hug you two! I’m not sure who’s singing more loudly, me or the birds. I’m a happy, happy girl these days! Are you going to ask Susan to be your ‘body guard’ at the show ;)Have a most wonderful time… you’re back!! !